Reporting from SPI: The downstream industry is streamlining as the ITC shift looms. 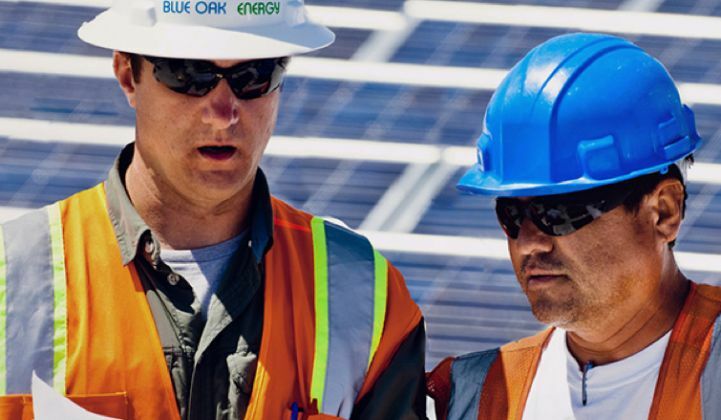 Coronal Group and Panasonic Eco Solutions, long-time partners, are taking a majority stake in solar engineering and construction company Blue Oak Energy. The Coronal-Panasonic group focuses on engineering, procurement and construction, project finance, and asset management. With the scheduled drop-off of the federal ITC approaching, we expected to see some more acquisitions in this sector as financiers with capital seek to take advantage of project developers' pipelines before 2017. In February of this year, Coronal Group acquired utility-scale solar project developer HelioSage Energy, adding a 320-megawatt (AC) contracted pipeline of projects to Coronal's 100-megawatt portfolio of solar power plants. HelioSage's business is in utility-scale solar project origination and development. This announcement follows recent utility-scale developer deals such as Canadian Solar's acquisition of Recurrent Energy and SunEdison's acquisition of First Wind. All of the acquired solar power plants are due to be completed in 2016. We spoke with Blue Oak founder and CEO Tobin Booth, who was somewhere near Disneyland at the time. He said, "HelioSage had a healthy pipeline and now Coronal-Panasonic is looking at ways of executing on that in the next 18 months -- we're a part of helping them execute on those projects in this compressed time frame." 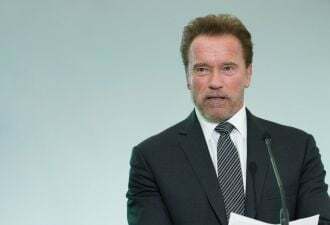 He added that this deal supplies Panasonic-Coronal with the talent needed to execute, as well as controlling for quality and maximizing profitability. Jamie Evans, managing director of Panasonic Eco Solutions, told GTM, "This represents a meaningful addition to our large-scale solar capabilities." Jonathan Jaffrey, chairman and CEO of the Coronal Group, told GTM in a previous interview, "If there is a reduction in the ITC, then being able to control the project from development to asset management will give that platform a leg up in the market." He spoke of reducing "multiple margins" and "points of friction." The CEO notes that Panasonic's involvement "is not a product play" -- despite the fact that Panasonic owns Sanyo, which makes one of the world's most efficient solar panels. He added, "While we don't use their technology (because it's not for utility applications), they still understand the module and quality level of panels." Solar is booming now due to organic reasons like low costs and inherent righteousness. But it's also booming for artificially distorted reasons such as the looming shift in the Investment Tax Credit, which is accelerating project development to bring projects in before 2017. But this boom will pass in 470 days, and companies that intend to prosper beyond 2016 are positioning themselves now for different times -- and for the long haul. Blue Oak's CEO closed our conversation by saying, "I think smart companies are not looking at Jan. 1, 2017 as even a bump in the road. There's always going to be swings and cycles in this industry. The companies taking this company and industry forward are part of executing on a long-term vision. I really believe this industry has a lot of room to run."